The other day, a co-worker was telling the story of how she met her husband. It was a beautiful story, and she couldn’t hide her love for him as she shared about him. She said he had been her soul mate. Then she asked me if I had married my soul mate. I couldn’t answer right away, because it occurred to me that my definition of what a soul mate was supposed to be had been skewed for many years. For most of my life I subscribed to the Sleepless In Seattle version of soul mates: two people who are incomplete and searching for each other finally meet, gaze into each others eyes, walk away hand in hand and live happily ever after. I mean, who doesn’t get choked up at the end of that movie? If you haven’t seen it, go watch it. (Spoiler Alert: here’s a little reminder of how it ends if you have seen it: https://www.youtube.com/watch?v=qeY1mkXqKgk) Imagine my surprise when real life didn’t match my expectations. I have been married for 13 years, and we dated for 4 years before we got married, so for 17 years I have been with this man, and I can honestly say that those have been some of the happiest times of my life, and also some of the worst. I have always loved my husband, but I haven’t always liked him. We started out as great friends who laughed a lot together, but life and kids have a way of barging in and raining on the parade. When we met, I would have said without a doubt that I had married my soul mate, but 10 years in and 2 kids later, I wasn’t so sure any more. It sometimes felt like I was married to a stranger who I had nothing in common with anymore. We have been close to divorce on two separate occasions…soul mates would never contemplate divorce, would they? I married a man who loves his job and fits the description of a workaholic. My soul mate was supposed to always put me first, wasn’t he? At times we fought over things as silly as whether to keep the carpet or have wood floors. Soul mates were not supposed to have to work so hard at marriage, were they? Thankfully, with the help of an amazing counselor and a wonderful community of friends, I have been able to change how I view the idea of a soul mate. I really like the term helpmate a whole lot better. I have come to realize that the purpose of my helpmate it not to make me happy or fulfill my needs. 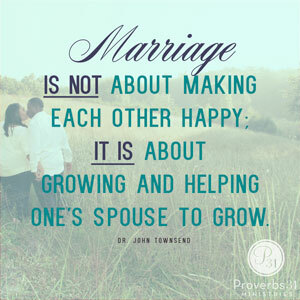 A helpmate does just that – helps me to learn and grow as a person. “Happily ever after” does not just happen. It takes a lot of work. But it’s worth it. Working at maintaining a friendship and finding things to laugh together about in the midst of the stress of everyday life is what keeps you close and connected. I have learned to stop being mad at my husband for not being the Hollywood version of a soul mate that I had come to expect him to be. So did I marry my soul mate? No, I didn’t. Not that old version anyway. I married my helpmate and friend, and I plan to continue working at our “happily ever after” as we walk hand in hand into the sunset. < Previous This is me, Daring Greatly!